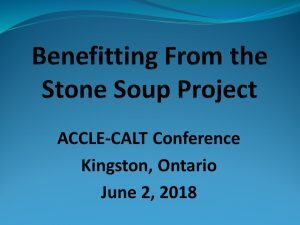 Last month, Michaela Keet (Saskatchewan), Martha Simmons (Osgoode Hall), Gemma Smyth (Windsor), and I gave a presentation about the Stone Soup Project at the joint annual conference of the Association for Canadian Clinical Legal Education (ACCLE) and Canadian Association of Law Teachers (CALT). You can click on the following powerpoint to get an overview of our presentations. I appeared by video and made the following video as an introduction to Stone Soup. This post provides some highlights of the presentations and discussion with the audience. Martha used a Stone Soup assignment in her mediation course. She said that having students conduct interviews is a good way for non-clinical students to get practical exposure and for clinical students to get long-term perspectives of the profession. Students learned about the role and power of the mediator, their interactions with self-represented clients, their professional responsibility, and ethical issues they face. Students appreciated the great freedom to choose who they would interview and what they would ask about. Next time, Martha will meet with students before they conduct the interviews, and after they do them, she will discuss them in class. 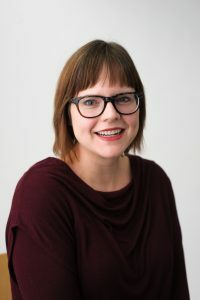 Some – though not all – Canadian schools expected faculty to get research ethics approval even for interviews done for teaching, whereas this federal regulations in the US do not require this approval. Next time, Martha will be in a better position to get this approval. In Gemma’s course, students interviewed people who had access to justice issues and worked with a lawyer. These interviews were eye-opening experiences for many students. Not only did they learn interviewing skills, they also learned about the role of lawyers and clients (including clients-as-teachers), accessibility of lawyers for clients, the complexity of legal process, and the ethics of research and ethics of practice. Some students particularly focused on learning about dramatic cases, sometimes over-emphasizing this and not recognizing how legal issues often come up less dramatically in people’s lives. Gemma said that Stone Soup is valuable in almost any law school course as students can interview clients, lawyers, and/or other legal actors. Students can benefit from Stone Soup first-year courses (with good support), survey courses, one-semester courses. She suggested starting early in a semester, especially for one-semester courses. 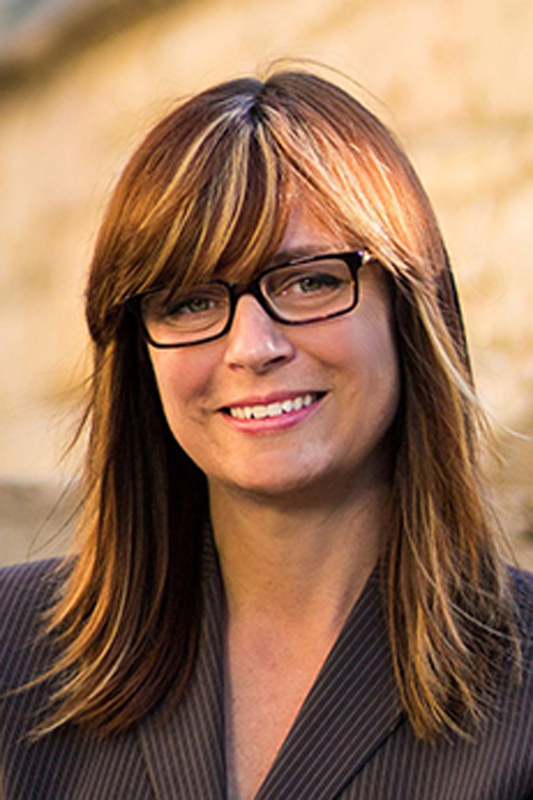 Michaela used Stone Soup in her negotiation course and found that it had many benefits. It helped students practice interviewing and communication, distinguish procedural, psychological, and substantive client interests, reflect on tensions in lawyers’ role, consider how to manage client expectations and build trust, develop durable solutions in longer-term conflicts, recognize cognitive biases, and appreciate the overall relationship between access to justice and dispute resolution. 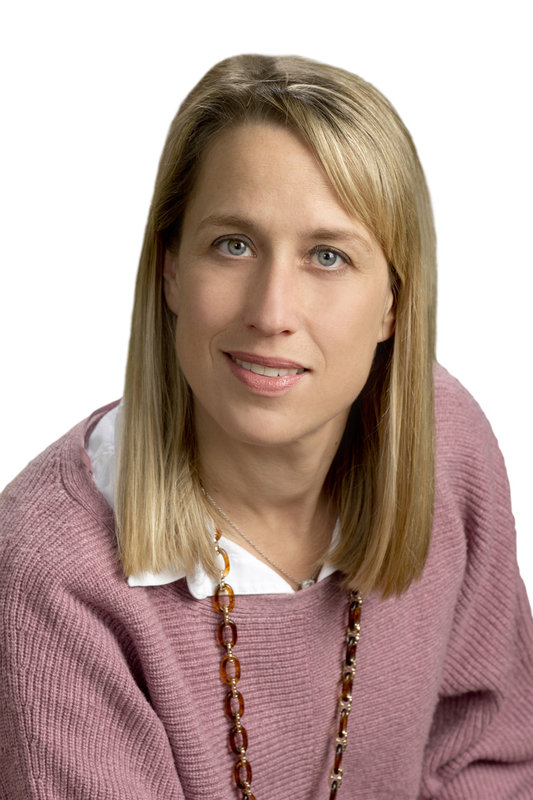 She recommends that students complete their Stone Soup assignments in the first half of the course as a foundation for the second half, and that faculty de-brief the assignments in class to discuss general themes. In Canada, there is a significant interest in challenges that actual and potential clients have in accessing justice for everyday legal problems. Several people were intrigued by the idea that students might not only share insights from their interviews with their classmates but could also do so with clients and lawyers they interviewed. 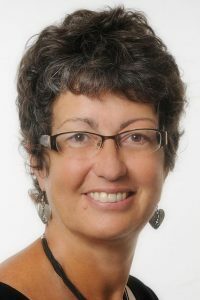 This would be an example of the kind of action research that Michèle Leering has advocated in which research subjects benefit from getting the research results. The process of being interviewed was therapeutic for some clients, even though that wasn’t the purpose of the assignment. Indeed, some clients wanted to be interviewed to teach future lawyers about what not to do based on their own negative experiences with lawyers. This assignment was particularly valuable because lawyers do interviews in every context and students learned how clients feel about being interviewed. Students generally did not have trouble finding clients to interview. Some students were surprised to learn that so many people around them had experiences with the legal profession. When students wanted to interview professionals, sometimes they got help through instructors’ networks or students’ mentors. It was more challenging when students had very specific criteria for selecting someone to interview. Although students in clinical and externship courses get direct experience with actual practice, Stone Soup can enhance their learning by conducting focused interviews with professionals and clients about particular issues. Gemma and Michaela developed detailed grading rubrics to help them and the students focus on the key goals and criteria of the assignment. As a member of the Michèle Leering fan club, I was thrilled that she attended this program. She recently wrote a meaty post on the New Legal Realism blog, Building a Movement for the Scholarship of Teaching & Learning in Legal Education. She mentioned the Stone Soup Project as a pedagogical action research and knowledge-sharing project. Click here for more information about the Stone Soup Project. 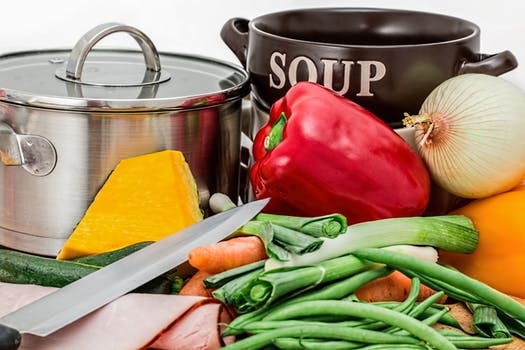 If you would like to use a Stone Soup assignment in one or more of your courses next year, please email me to let me know which course(s) and semester(s) so that we can include you in an updated roster of Stone Soup faculty.